These devices open or close electrical circuits depending on the position of the pointer of the manometer and that of the contact. 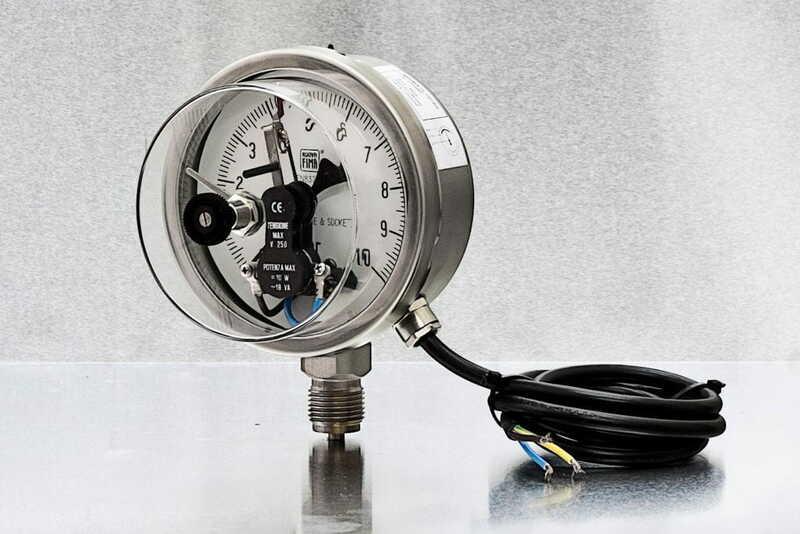 Therefore, these manometers are not only simple pressure indicators but, by means of a front adjusting key, allows to command electrical circuits to start or stop pumps, compressors, etc. or action acoustic or visual alarms at the desired point.